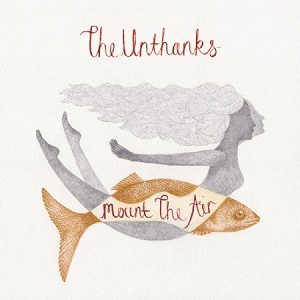 It's been four years since The Unthanks last released a studio album of all new material. Since then they've released a live album of cover versions, an album with the Brighouse and Rastrick Brass Band that featured songs from previous Unthanks albums, and "Songs from the shipyards" - a soundtrack album of covers. So with all those releases fans haven't been left empty handed, but I'm quite sure the prospect of a proper studio album has many excited. I hesitate to call this album Folk since it takes elements from so many diverse styles of music that folk seems a bit restrictive as a description. Yes there is a large folk element to the music, but whatever you choose to call it, it's beautiful music. "Foundling" is another long track, almost eleven minutes long, and is another excellent piece of music. With many bands after a song passes a certain duration it starts to drag, but that is something that simply doesnt happen with The Unthanks - the songs never seem too long - in fact they seem to thrive on the extra time and there's always something happening to keep interest and enjoyment levels high. It's a superb album that I have no hesitation in recommending.